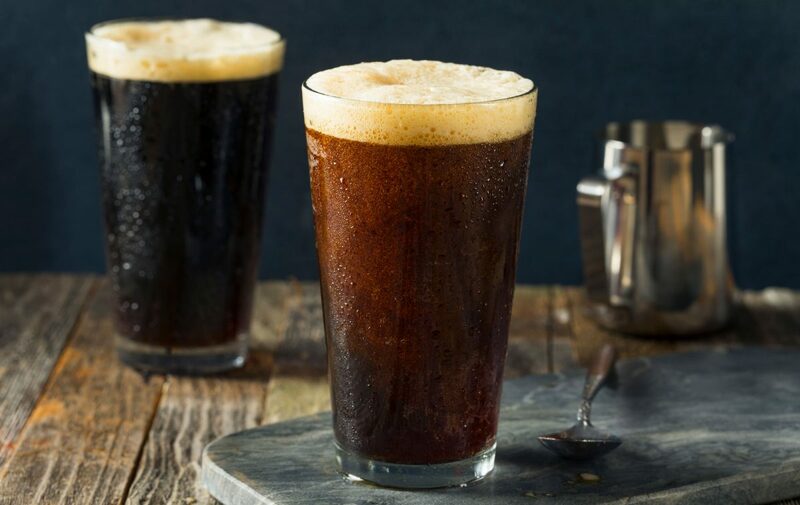 Home » Guides » What is Nitro Coffee and Why Should You Care? One of the latest trends in the coffee industry is nitro coffee. 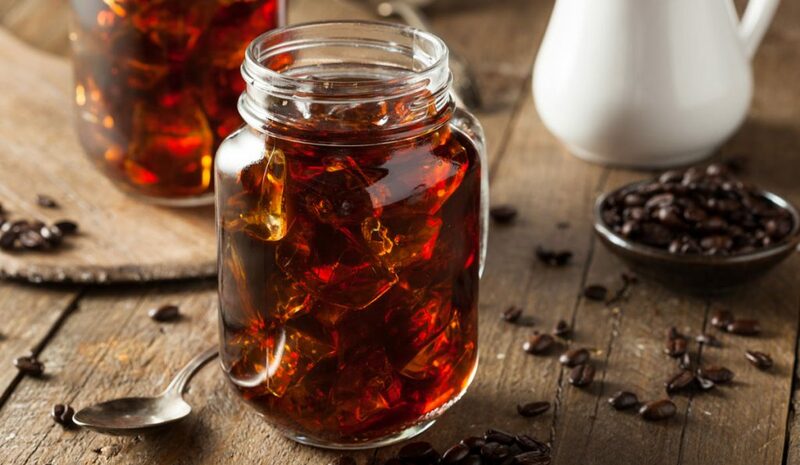 It’s a smooth drink made by infusing cold-brew coffee with small bubbles of nitrogen – and it’s rapidly growing in popularity. Nitro coffee isn’t just a fad though. Many independent shops have served it since 2012, but larger chains are now starting to take note. In 2016, for example, Starbucks announced the introduction of nitrogen-infused coffee to over 500 locations in the US. Canned nitro coffee is also a common sight in health clubs and independent stores. What exactly is nitro coffee though? And how does it taste? Keep reading to find out! Before I talk about nitrogen-infused coffee, it’s important to understand the growth of cold-brew. Without the popularity of cold-brew, nitro coffee wouldn’t have been possible. Cold-brew coffee, unlike regular coffee, is brewed at room temperature or below. The brewing process takes up to 24 hours, with the result being a less acidic and sweeter taste. It’s a simple idea – but a popular one. In the year preceding February 2017, sales of cold-brew coffee grew by up to 80% in the US. Research by Mintel in 2015 estimated 24% of consumers purchase cold-brew coffee. Cold-brew has also driven growth in the coffee industry. People tend to drink it instead of sodas, so it isn’t eating into hot coffee sales. It’s also a great choice for hot summer days. This rapid growth of cold-brew opened the door for nitro coffee. While infusing a drink with nitrogen isn’t a new idea, the popularity of cold-brew inspired people to try it with coffee. Most fizzy drinks, including beer, are carbonated. This means they are infused with carbon dioxide to create a bubble and lively texture. Carbon dioxide provides a sharp mouthfeel and also affects the flavour of beer. Some drinks are infused with nitrogen instead. Nitrogen, unlike carbon dioxide, is insoluble in liquid. This creates a thick and creamy texture instead of a thin and fizzy one. If you’ve ever drunk a pint of Guinness, you already know the texture of a nitrogen-infused beverage. Infusing coffee with nitrogen has the same effect. To make it, cold-brew coffee with added nitrogen is forced through a tap with tiny holes at high pressure. The result is a smooth and foamy coffee that’s thicker than a regular brew. You also get an attractive cascade and head when pouring it. Additionally, nitro coffee doesn’t contain any milk or sugar. This makes it healthier and suitable for people with a dairy intolerance. As Joe O’Hara from AlchemyCoffee.co.uk notes, however, it’s vital for coffee shop owners to only purchase machines that use food-grade nitrogen. Alchemy Coffee has been trialling nitro coffee throughout the summer, but Joe has been concerned by the number of machines that simply draw in compressed air. This air hasn’t been purified and could cause health concerns. Why Add Nitrogen to Coffee? The most obvious benefit to nitro coffee is the smooth texture. This creaminess, combined with the delicious cold-brew taste, makes nitro coffee a delight to drink. Aside from its texture, another advantage of nitro coffee is that you don’t need to add sugar to make it taste sweet. The foamy texture of the nitrogen “tricks” the brain into believing the coffee is sweetened. This is because the nitrogen activates different parts of the tongue. Cold-brew coffee is also less acidic. If you enjoy a coffee with reduced bitterness, it could be the perfect alternative to a hot coffee. 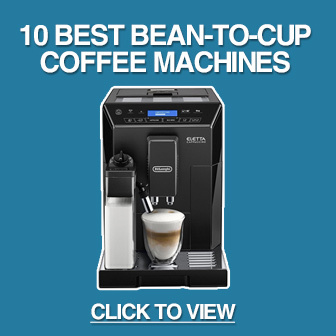 Are there certain roast profiles or beans that work best though? According to several third-wave coffee shop owners I’ve spoken to, Kenyan coffees seem to be the best option. Most high-quality coffees taste great with nitrogen though. If you enjoy cold-brew or black coffee, there’s no reason not to try nitro coffee. Many people love the silky texture and naturally sweetened taste. 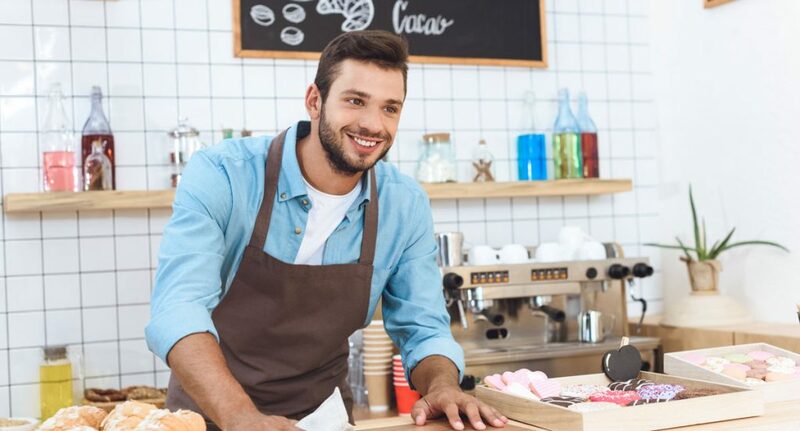 Coffee shop owners also report their customers enjoy it as an early morning substitute for a regular espresso – especially during the summer months. There are two options for trying nitro coffee: on-tap in a coffee shop or from a can. While there are DIY methods, they are fiddly and not worth the effort. 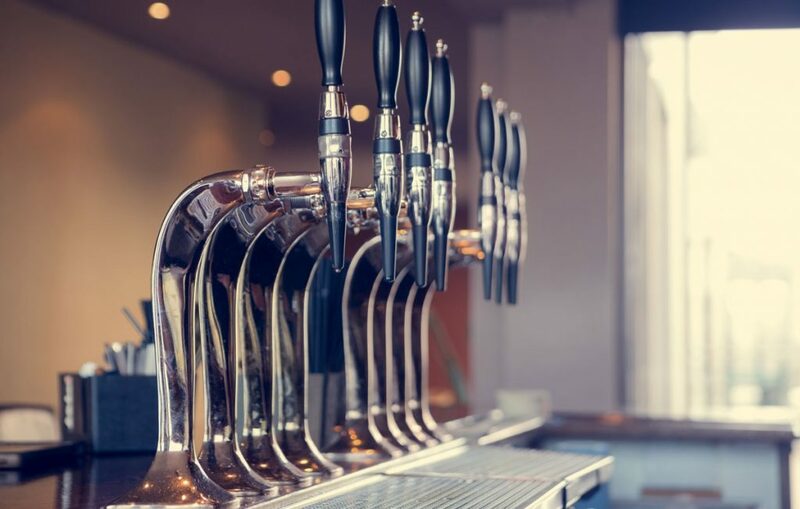 This is another reason why the coffee shop industry loves nitro coffee so much – it can’t be replicated by pod or other types of home coffee machine (although we still love the espresso made by the bean-to-cup machines found on our homepage)! It’s worth noting that the taste of nitro coffee is just as dependent on bean quality as a hot coffee though. Poor-quality beans (or those that are improperly stored) still brew an unappetising nitro coffee, even if the bitterness is slightly reduced. Coffee provides many health benefits. It can improve your energy levels, combat Type II diabetes and may protect your brain from Alzheimer’s. 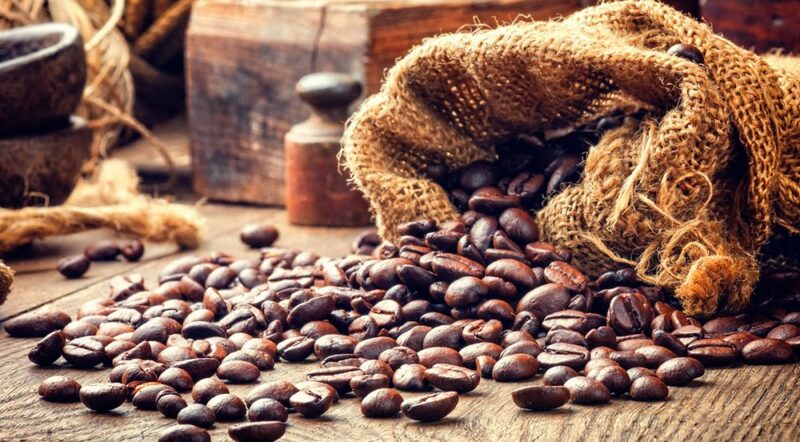 Coffee also contains several vital nutrients, such as magnesium, Vitamin B2 and potassium. Does nitro coffee have the same benefits though? The short answer is “yes.” Cold-brew coffee contains the same antioxidants and phytochemicals found in hot coffee, while reducing the chance of acid reflux. Nitro coffee also doesn’t require additional sweeteners. If you usually add a few heaped teaspoons of sugar to your coffee, switching to nitro could save calories. The lack of milk reduces calorie intake even more. Keep in mind that nitro coffee usually contains more caffeine than a hot coffee. While this is great for an extra boost, some people may suffer from unwanted side effects when drinking too much caffeine. If you feel jittery or anxious after drinking a nitro coffee, the increased caffeine is probably the cause! Cold-brew coffee has reinvigorated the coffee shop market – and nitro coffee seems to be continuing the trend. Its smooth texture, attractive head and sweetened taste make if a refreshing alternative to hot coffee. Is nitro coffee a long-term trend or just a fad though? With coffee shop chains investing heavily in nitrogen-infused beverages, it’s hard to see it going away soon. Nitro coffee is also more than just a gimmick, as it provides a truly unique taste and texture. Give it a try – you won’t be disappointed.